The increased democratization of publishing and the rise of long-tail, niche content have likely lowered the bar for what constitutes a team/season worth memorializing in a book. Thankfully, the 1993 Philadelphia Phillies, a ragtag assemblage of castoffs from other teams that went from last place to first and the World Series, make for good reading. William Kashatus' new book on the subject, Macho Row, is a light and enjoyable volume on one of the quirkier MLB teams of recent memory. Macho Row is structured like most "single-season-retrospective" books, with a particular focus on the colorful characters employed by the Phillies in 1993. Kashatus devotes a good bit of his attention on the denizens "Macho Row," an especially-raucous section of the clubhouse where stars Darren Daulton, Lenny Dykstra, John Kruk, Mitch Williams, Pete Incavlia, and Dave Hollins resided. The book delves into the backstories of each member and these extended profiles were the highlight of the book for me. Dykstra, who was bursting at the seams with equal parts passion, hubris, and recklessness and the deceptively-clever Kruk were particularly compelling to read about. Kashatus got to interview many major players for the book and these interviews helped further enrich the sketches of each player. 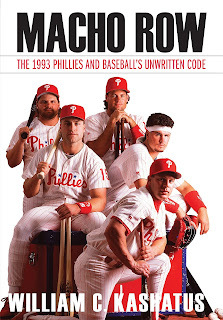 Macho Row doesn't actually get to the start of the season until about a third through the book, with extended passages on about half of Macho Row as well as some background on the Phillies and how their fortunes took a pretty severe dip after winning the World Series in 1980 and the NL East in 1983. There are a few more biographical digressions peppered in the rest of the book but once the account of the season starts the book can get a bit monotonous. Kashatus seems to give brief summaries of each series over the season with a few basic statistics and noting the top performers. While most readers likely do not remember the game-by-game fate of the Phillies in 1993 it still doesn't make for the most gripping prose and occasionally feels like reading a massive volume of Associated Press game recaps (a frequent gripe I have with this type of book in general). This is further exacerbated by the fact that the Phils were largely cruising through their 1993 campaign, beginning every month of the season in first place. Besides a September slump that briefly injected a bit of suspense into the NL East title race, there wasn't a ton of drama. The fact that a rag-tag team of castoffs that finished in last place the previous year won their division the following season was remarkable, but the way they did so was rather humdrum (which makes their dominance even more remarkable, but not always the most captivating reading material when recounted). 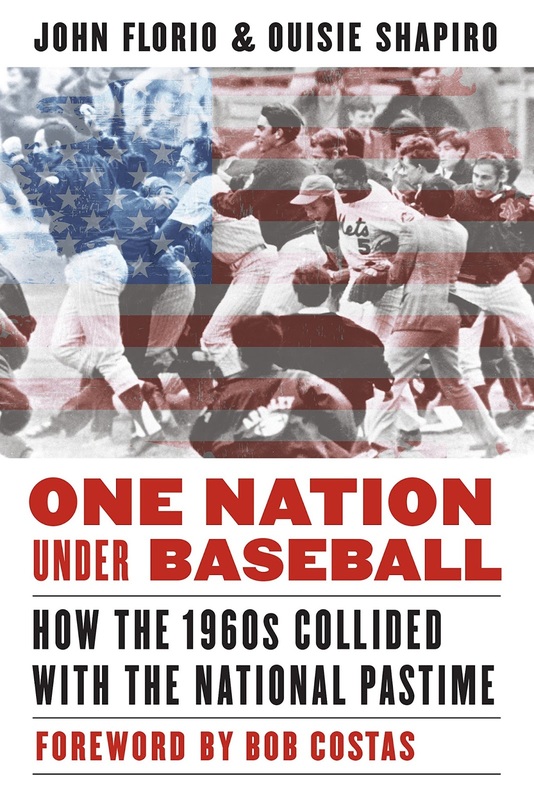 Kashatus' occasional asides on baseball's "code" also aren't going to be tremendously illuminating for a reader who is a big enough baseball fan to pick up a book about the Phillies' 1993 campaign. Furthermore, such an emphasis doesn't make a ton of sense given that several major Phillies such as Curt Schilling and Lenny Dykstra blatantly broke key components of the code during the season and over the course of their careers. Those issues aside, the overall reading experience is a pleasant one and I'm ultimately glad I read Macho Row. 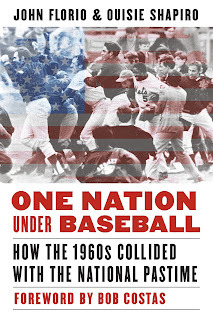 Kashatus, a historian and college professor who has previously written books on American and baseball history, writes well and does an excellent job linking the trends of the 1993 season with what came before it and what followed, such as how the Phillies served as the inspiration for Billy Beane's Moneyball philosophy. Macho Row is a good read that will help pass the time until Opening Day. I don't think it quite has the "crossover" appeal to be worth being read by non-Phillies fans as if you're a big baseball fan you probably already are familiar with these players' basic backgrounds and careers but Phillies fans should get a lot out of it and enjoy revisiting one of the team's better seasons with some additional insight and interviews from the squad.